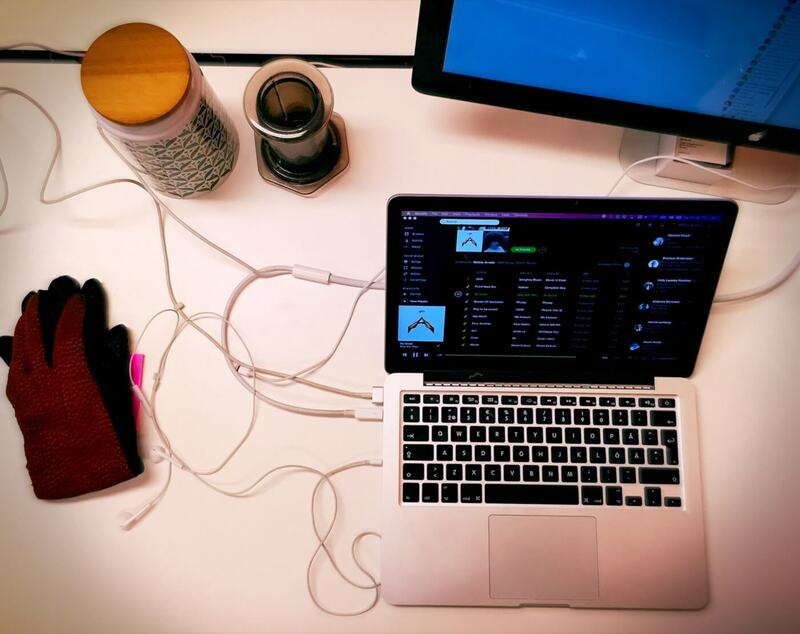 Here, Mattias Arrelid, Director of the Spotify SDK, shares how he uses Alfred while working on the latest version of Spotify - a service that fuels us with music every day while we work! My name is Mattias Arrelid, and I'm on a (never-ending) journey to make Spotify infrastructure better™ across all our supported platforms. Lately, this has manifested itself in some much needed tightening of our build & release infrastructure empowering our mobile & desktop apps, as well as some mentoring for one of my teams who is replacing the beating heart that is our player interface that all our features (radio, search etc.) use to play things inside our apps. Exciting times! On my desk, an Aeropress and some coffee, gloves (yes, this is Sweden), a MacBook Pro Retina 13" (which may just be replaced this month) and a Cinema Display. The workflows, period. Being a big fan of Quartz Composer and scripting in general, it feels pretty damn amazing to have almost limitless functionality at the tip of your fingers at a cost that's close to zero in terms of setup and complexity. I don't even want to think about how much time people spend repeating dull operations in their everyday work-life, when they could be using workflows instead. Are there any workflows you've created or imported that you'd recommend? Another workflow I've been tinkering around with is one that allows me to easily message/call people using my iPhone. I guess Continuity wasn't that bad after all, especially combined with the powers of app URIs (that lets you invoke iMessage/Facetime with your contact's details). I know something similar is available publicly already, but I wanted more granularity in what operation to perform (like FaceTime with or without video). Another gem that I can't live without is the IMDb workflow. I love their database, and this workflow gives me the option to just bypass their not-so-nice search box and find the right movie directly from within Alfred itself.